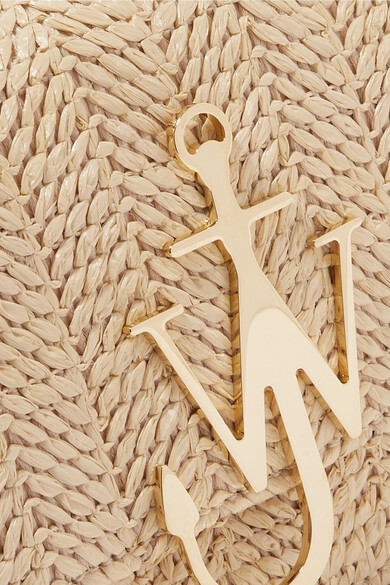 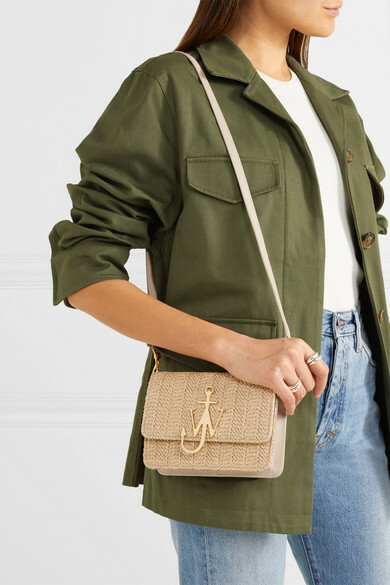 JW Anderson’s cult 'Logo' bag has been updated for summer in natural raffia. 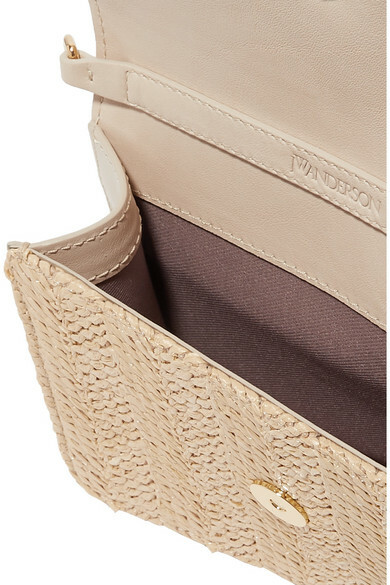 Made in Spain with a smooth taupe leather backing to prevent snags, it has a handy slip pocket for easy access to your credit cards or ID. 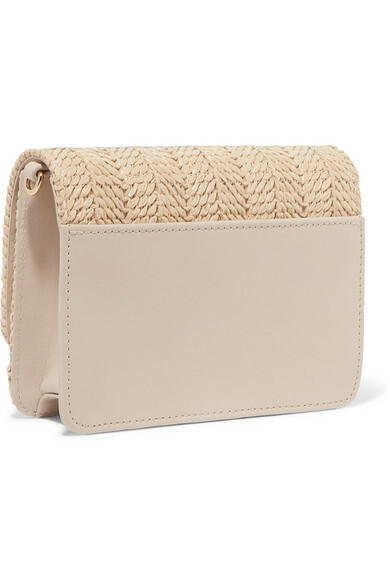 Detach the strap to carry it as a clutch. 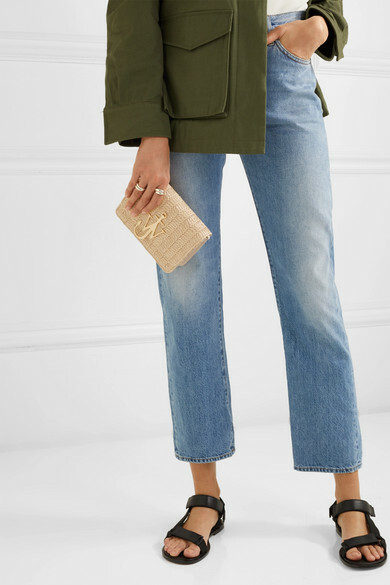 Shown here with: Totême Jacket, Aries Jeans, Goldsign Tank, Vince Sandals, Sophie Buhai Rings.